To request a workshop, teaching engagement or community dance event, and to inquire about scheduled workshops in your area, please email Donna. It all began with an initial request to teach folk dance as a volunteer in 1988. My joyful experience of dancing and learning with that first class sparked a deep interest in folk dancing with children that has evolved into two decades of teaching hundreds of classes of children in elementary schools throughout the Western U.S.
My goal in teaching a new dance is to make the experience of learning the dance as easy and fun as possible for the students. My hope is that the dance descriptions, the recorded music and the musical scores provide helpful tools that inspire and enable you to bring folk dance into your classrooms, into your homes, into your community life. 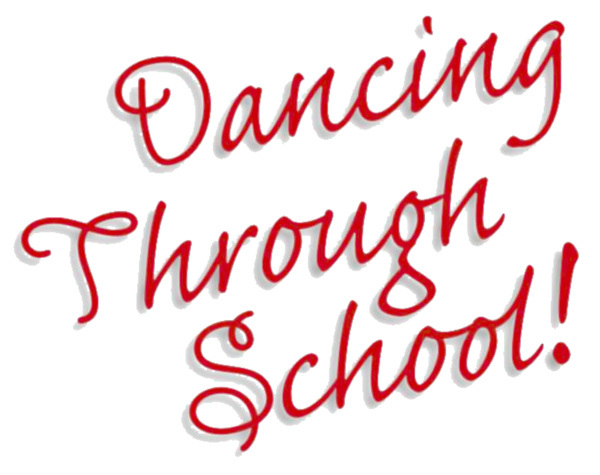 Schedule a “Dancing Through School!” instructional workshop for faculty and parents at your school. Schedule a workshop for teachers in your home school program. Invite Donna to teach your students ...and learn right along with them. 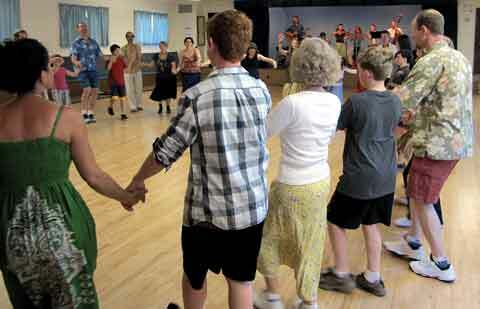 Invite Donna to lead an “all ages” community dance for your school, home school program or community group.